Divex twisted umbilicals are the choice of diving professionals, including construction, police and saturation divers, worldwide. Twisted umbilicals offer significant advantages including great flexibility and strength, while resisting kinking and abrasion due to the inherently strong ‘rope-like’ structure. Unlike rubber or PVC compounds, used previously for diving umbilicals, the hoses are made predominantly from polyurethane. This is a particularly clean unfilled polymer containing no plasticisers or potentially harmful additives. This ensures breathing gas quality is maintained under all conditions from -400C to +600C. In addition, polyurethane does not deteriorate significantly with age, thereby easily outlasting rubber and PVC type hoses. The Divex 4 wire communications system enables simple utilisation of any diver surface radio and any mask/helmet communications system. A laminated instruction card is provided and attached to each umbilical. Divex air diving umbilicals are fitted as standard with 4 contact female Divex RMG type connectors. 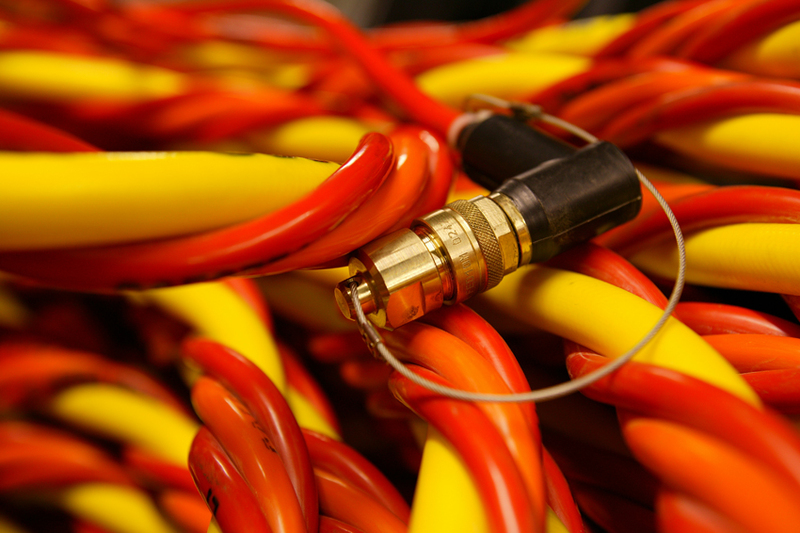 The surface end of the umbilical is terminated with four separate wires fitted with single pin stacking ‘banana’ plugs to suit Divex air diving radios (and most others). 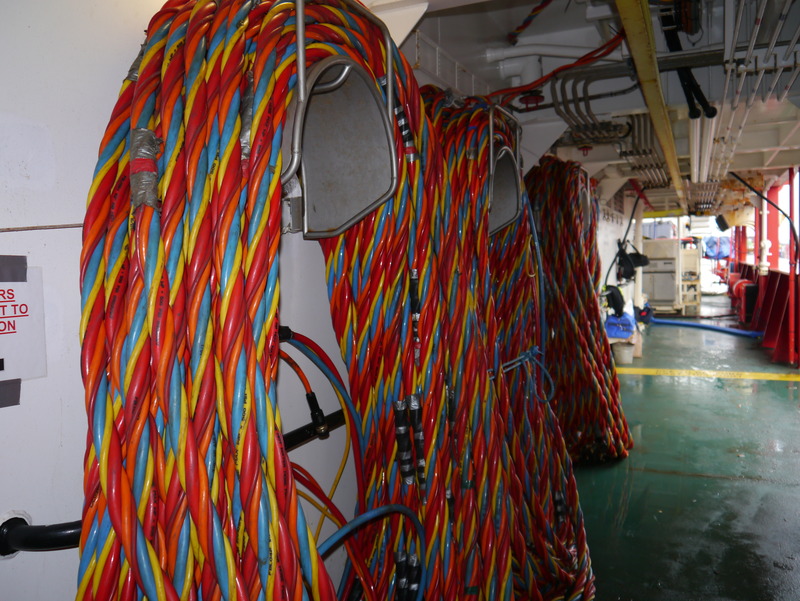 Surface demand / sat / stand-by excursion / umbilicals can include services for a diver's gas supply, hot water, depth reading, telemetry, communications, hat light power, video transmission. 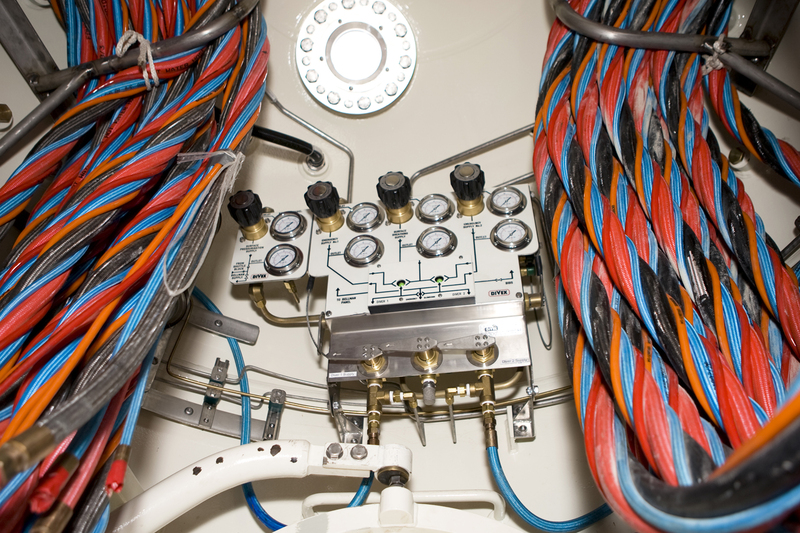 Please contact our Sales Department to discuss component configurations to suit specific diving requirements.